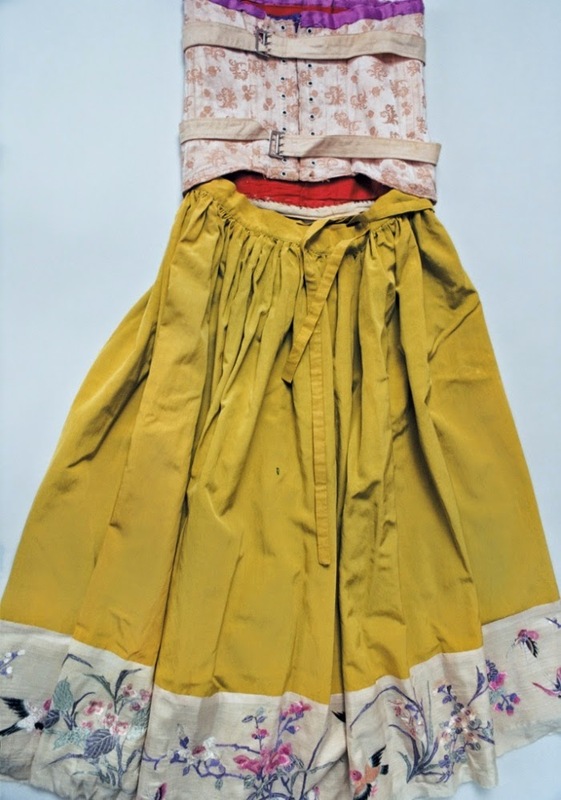 I stumbled onto an article written in The Guardian about an exhibition of photos of Frida Kahlo's clothing. 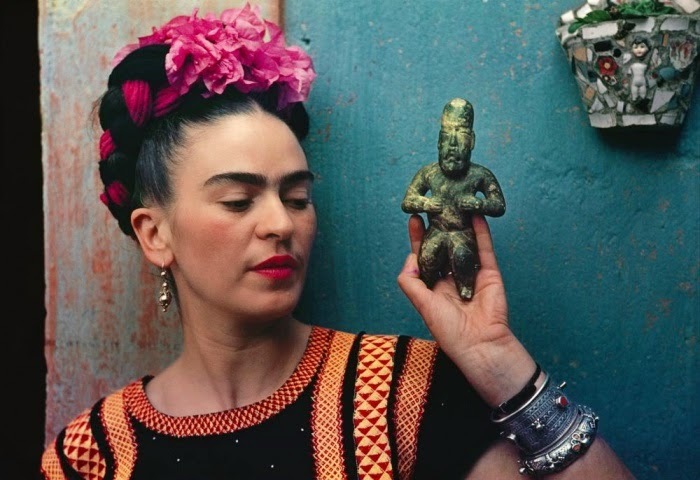 The story goes that when Frida Kahlo died, her husband Diego Rivera locked up the room where her clothes were stored and they remained there for 50 years. Now, there is a photographic record of over 300 items on display at a gallery somewhere in London. 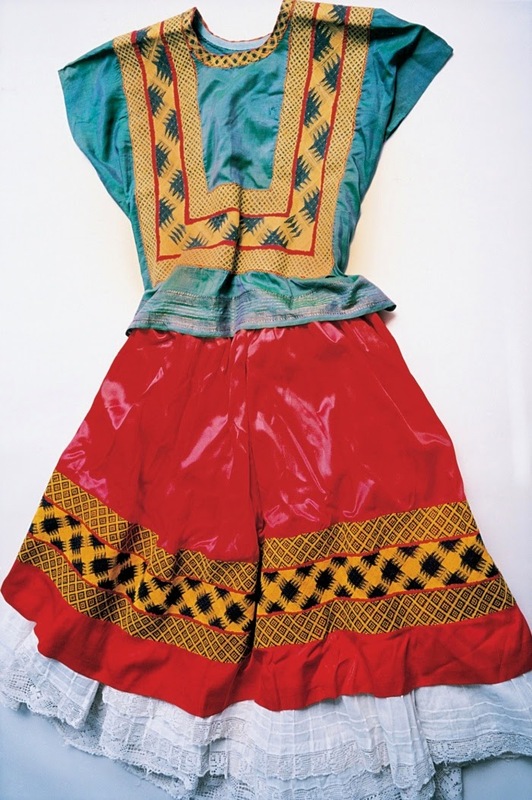 The Japanese photographer had been invited to document the clothes when they went on display at the Frida Kahlo museum in Mexico. 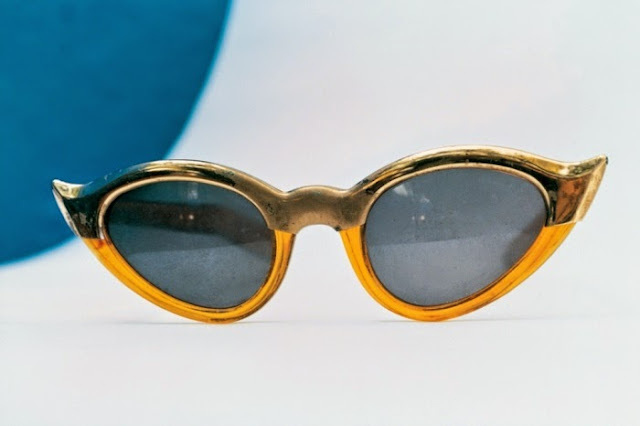 Frida Kahlo's clothing and her fashion influence is as iconic as her artwork and her legacy as an female artist. I only wish I could style my hair and tie my scarves like she could. And the color...wow. Her wardrobe was full of it. I've sometimes deliberately not plucked my eyebrows or waxed my upper lip to emulate the kind of woman she was, proud to show her natural beauty. So feminine. The whole bushy brows and upper lip hair just doesn't work for me as it did for her. Still, to look at her clothing as it's captured in these pictures, there is also evidence of the wear and tear that her physical and emotional struggles had on her. The body cast she had to wear, which she turned into it's own work of art is particularly haunting. I cannot imagine the depth of her sadness and pain which she lived with, her sorrow at being unable to bear children. She had a unique connection to her clothes as stated in the article " she loved clothes for how they made her look and feel, but she also used them to both mask and highlight aspects of her identity, after childhood polio and a bus accident at 17 left her with life-long health problems and physical ailments." Someday, I'd like to see the garments in real life.